I recently received an email from Cathy Mueller of Esri confirming that the first COGS graduate that took the road to Redlands was indeed Julie Hutching in 1986. 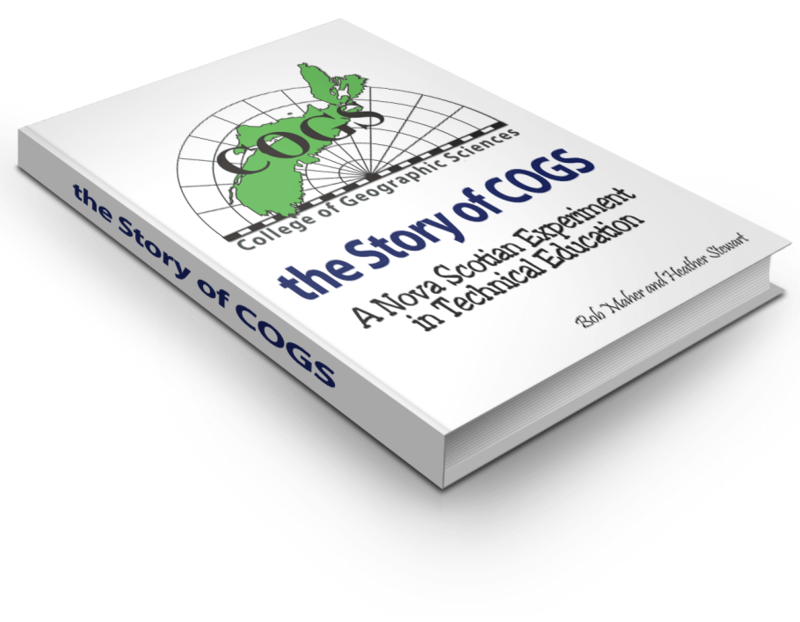 Other early COGS graduates that followed were Mark Harris and Jamil Alvi. Mark is still working with ESRI, however Julie and Jamil both left Esri in 2011. Jamil with his wife, Jonelle (COGS 1995) moved to Portland, Oregon. 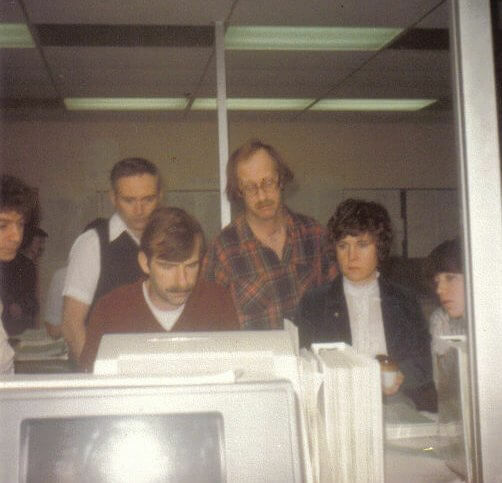 While Esri does not keep records by institution, Cathy does reckons that they currently have sixty COGS graduates working there with roughly another sixty that have come and gone over the years. So over a thirty year span, an average of four per year. Not so shabby. Esri and Esri Canada continue to come to COGS every Spring interviewing and recruiting graduates. 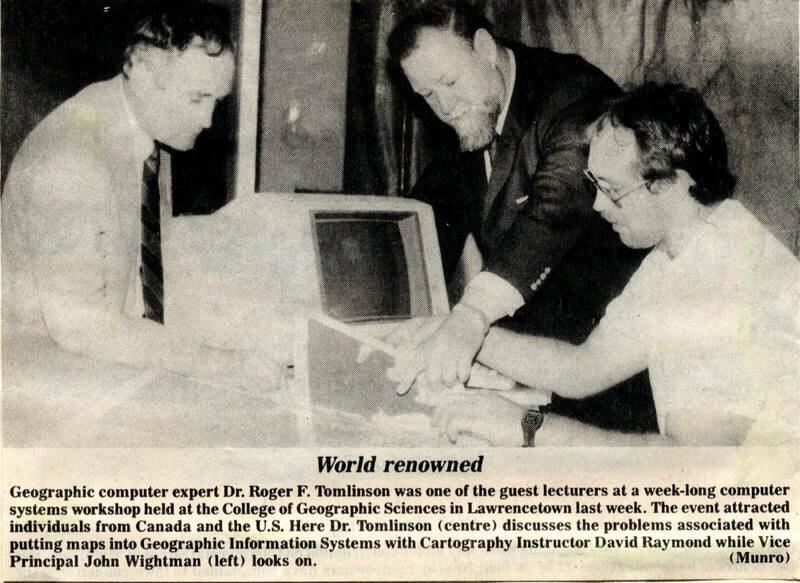 Mike Goodchild has confirmed that two Canadian Cartographic Association (CCA) sponsored workshops were held at COGS during the Summer of 1985 and 1987. This involved Roger Tomlinson and many university faculty from across Canada. He not only gave me the dates, he also remembered the social events – John Wightman’s lobster boil on the Bay of Fundy, the boat trip down the Annapolis River, picnic at my house in Clarence. Plus a participant hitting a deer coming back over North Mountain. 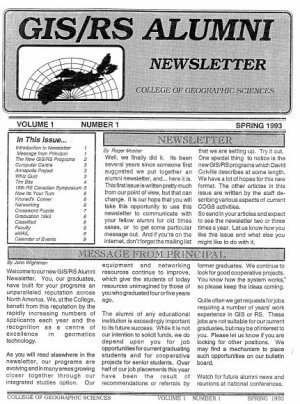 Sally O’Grady discovered the first (and only) COGS Alumni Newsletter created in 1993. She has provided us with a copy of it witch we have added to the web site. It contains many various contributions from different staff members. It is amazing that twenty years have gone by. Over Christmas, with help from my son, I have tracked down a paper written by myself and John Wightman, in The Operational Geographer. It will be posted to the web site soon. There have been several alumni class lists generated by David Raymond, David MacLean and my self which we will include on the site. I have also been working with Kathleen Stewart to see if we can build a web application that will allow searching and maintenance of these lists. 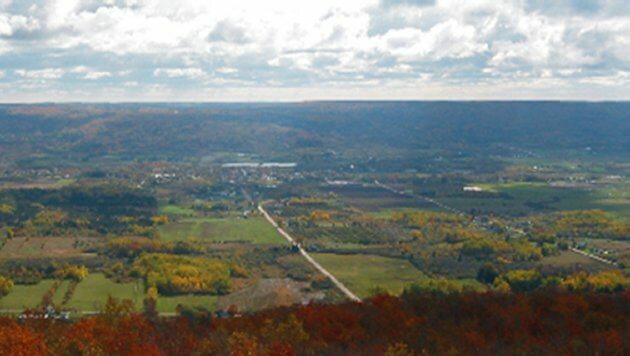 I have also been working with Jon Murphy who runs GoGeomatics out of Ottawa to help reach past COGS Alumni. My interest is to support a vibrant alumni network. Anyone with interests and skills in this area, please contact me. This is an important component of the project. Before Christmas, Heather and I had interviews with David Woolnough and David Colville to help try and get a better handle on the period between 1988 -1999 at COGS, when I was away from the valley. While I have been distracted by family vacation, and also trying to get the web site working well, this Spring I hope to start the substantive writing, beginning with the ‘survey school’ days. PLEASE FORWARD any photographs, articles, items of interest or comments to me. We will acknowledge all contributions. The new Principal of the Annapolis Valley campus is Isabel Madeira-Voss. She replaced Jim Stanley last Summer. The New Chair of Geomatics at COGS is Dennis Kingston, he replaces Bruce Hicks this month (January 2013). Enough for my first blog update.